CO auto insurance regulations info. Save time & money with DMV.com Certified Online Insurance Quotes. When owning and operating a vehicle it is very important to have some form of insurance in case of damage/injury to your vehicle, you or others during a collision. Accidents are unpredictable and that is why it is necessary to purchase the proper insurance and coverage for you and your vehicle. DMV.com will provide you with the critical information and advice you need to make the right decisions regarding your auto insurance. See Mandatory Insurance for more information. Please note that all of the insurance providers listed on this page offer these levels of coverage as well as options for additional coverage. In the state of Colorado, all drivers must have liability insurance. Those who choose not to properly insure themselves will have their license and registration suspended if stopped by a police officer during an accident or traffic stop. In order to have these restored you must pay a $500.00 fee and file a SR-22 (Financial Responsibility Insurance Certificate) with the MVD for three years. There is also the possibility that you will have to pay a fee to have your license and registration reinstated. Please see our article for more SR-22 information. Why Get An Insurance Quote? Before purchasing car insurance or even if you already have a plan it is important to shop around for the right auto insurance provider. By obtaining more than one quote you ensure that you are getting the best offer. The providers listed on this page offer a free and convenient online application that makes getting your quote online quick and easy. 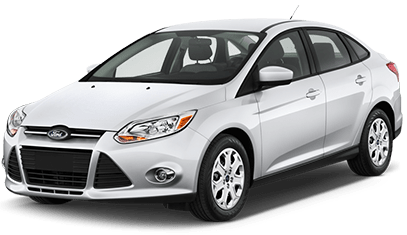 The insurance companies listed on this page offer the most competitive rates in the industry and by getting multiple quotes for your auto insurance you’re likely to save a significant amount of money each month. Get information from all vehicles, drivers, witnesses and individuals involved. Make notes about the location, time and date of accident. If you have any claim you must contact your insurance provider as soon as possible. The insurance company should provide you with the appropriate forms for the claim. Ensure that the forms are filled out correctly and completely and take a copy for yourself. An insurance agent will assist in filing the claim. Please see the Accidents link for more details. If you are injured in an accident you may want to contact an attorney. Please see our Lawyers link for information on what to do if injured in a collision. Get quotes from other suppliers. The providers listed on this page offer some of the most competitive rates in the industry. Enroll in a traffic school course which will either earn you safety points on your license OR reduce your insurance premiums. Drive more safely in the future.